New York Painting Services, a painting contractor, is fully licensed and insured to provide a number services to commercial and residential properties in the Greater New York and New Jersey areas. Are elite artisans are masters of the craft and have the talents as well as experience to execute your project in professional manner with superior outcomes. 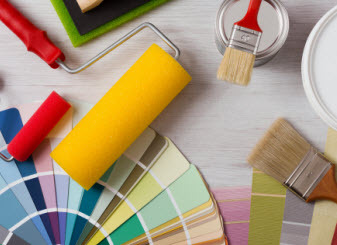 In addition to workmanship being superior, New York Painting Services only utilizes high-end products, materials, and equipment to ensure the maximum results. With New York Painting Services, you get more than extraordinary services, but we are passionate about delivering friendly customer service, traditional values, and professional courtesy to ensure your experience is phenomenal. 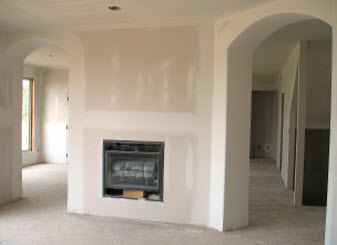 New York Painting Services excels in all things painting for the homes and businesses in New York and New Jersey. When it comes to pastels, they are making a comeback and are being used in a variety of ways and in a plethora of areas from bathrooms to retail shops. Unfortunately, some still hold an unfair stereo type to pastels; Easter egg colors, perfect color for little girls’ rooms, and so on. Bu since many of re-emerged the colors of pastel in well balanced applications; the rooms are brighter, and more calming and airy. Pastels are not restricted to blues and pink either; and with depth and substance, they are far more vibrant and usable than you may suppose. Men are afraid of pastels because of the common misconception that pastels are exclusively for women. Pale grays, for example, are very masculine. Pastels bring a very soothing effect, making them a popular choice for bedrooms and bathrooms. When it comes time to select the pastel color for painting your walls, experts agree that you should finalize your choice by selecting the shade lighter than your original choice. Once pastels are spread across the surface, they become especially intense. To give the color more depth, glaze the top with clear, particularly if the room is smaller. The pastel palettes, these are ideal for those that enjoy the pale beiges and creams but still want to add color. There are a variety of ways pastels can excel. 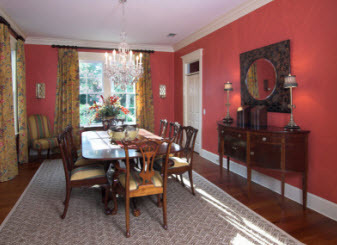 Keeping the walls the subtle creams and accenting the trim with pastels or vice versa. Whites, grays, and even blacks are very complementary with pastels. But the creativity is not limited. To make your rooms more beautiful, the pastels are a versatile option. Provide a graceful distinction against bold or vivid colors; these pale hues easily pair with other pastels. Pastels are a great choice, when you want to experiment with something beyond white and beige, but are reluctant to take on a strong color. They work in any space and can be incorporated into any décor style beautifully. No matter the furnishings and accessories, pastels are the perfect background for any interior wall. If you are interested in working pastels into your home or business in the New York and New Jersey areas, call in the specialists of New York Painting Services. No matter if you have your own pastel color scheme in mind, or if you need assistance sifting through your options, our experts can deliver quality painting services.